Singing is at the heart of the music program at Meridian. Weekly, the children sing as a school community at our Friday Morning Meetings; enjoying new songs, building repertoire and fostering a musical community between grade levels. 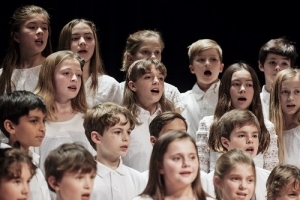 Alongside the singing, the children explore musical instruments, discover different styles of music, learn about composers, master dances, compose, improvise, perform and learn how to listen to and express themselves through music. Music lessons combine singing, movement, improvisation, playing by ear, studying composers and learning music fundamentals, along with use of technology, to enhance the overall music making experience. Meridian’s music program is focused on the integration of the traditional ways of teaching music and the use of the latest music technology tools, interactive lessons and music software. Another big component of our music program is concert series launched in 2016, called “Live@Meridian” The series aims to bring world class musicians to our school community for an evening and an all-school Friday Morning Meeting performance. 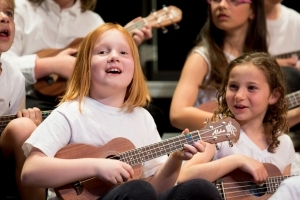 It is our belief that developing the love for “live” music is a crucial part of music education. In 2017, The Meridian School piloted an instrumental music program for the 4th-grade students. 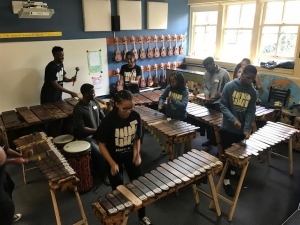 In 2018, the program was expanded to include 4th and 5th-grade students, and an ensemble called “Meridian Music Makers” was created. In May 2016, The Meridian Chorus went to visit KEXP Radio; tour the new facility and record the jingle for The Morning Show with John Richards! Listen to the jingle below!